The Calgary Real Estate Resource Centre’s NE Neighbourhood Profiles and Price Trends page includes detailed information on each of Calgary’s residential areas. Here you can access average sale prices of homes, both detached and condominiums for last year and previous years, as well as the latest real estate sales figures for each area of Calgary. 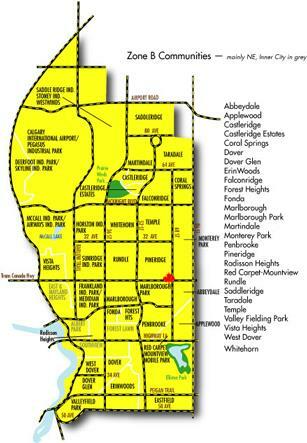 It’s a great tool for determining which neighbourhoods in Calgary meet your price needs. Other items of interest include a average sale price trend report and area reviews since 2000. In addition to average selling prices, you’ll find loads of census data about each neighbourhood including average family incomes, neighbourhood development data, schools, parks and a maps of the area.